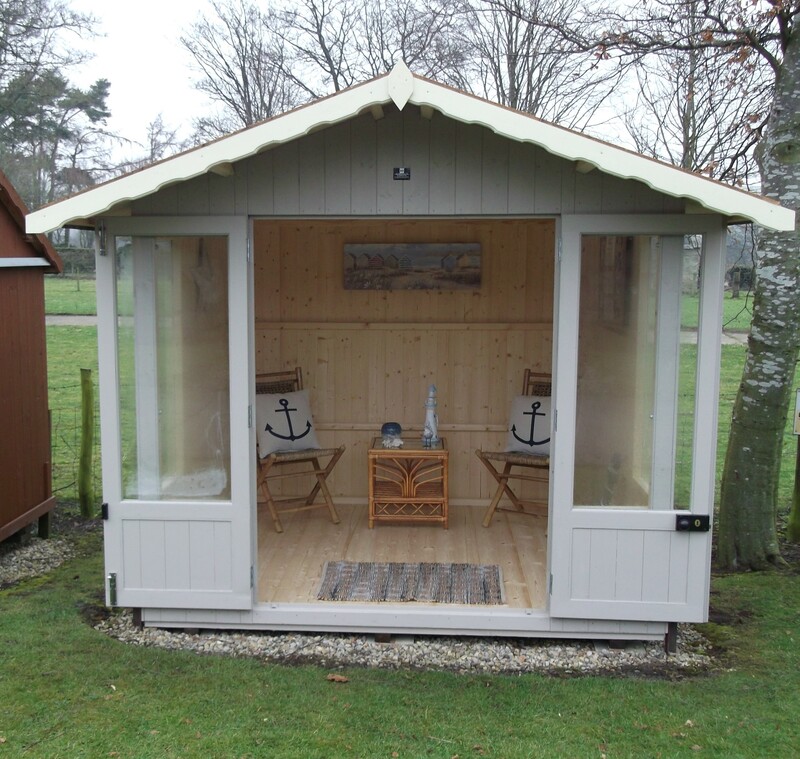 An attractive Apex style chalet, the perfect place to relax or entertain, with hinged double doors providing easy access for garden furniture. 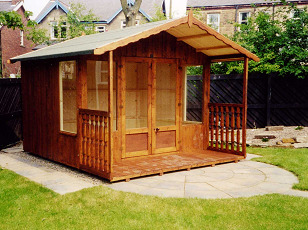 This elegant model can be supplied with or without a verandah. Georgian or leaded style doors and windows are also available. The above prices are subject to Vat. Please contact our office regarding delivery and assembly. Various sizes available, however these can also be manufactured to your own size and design, please ring our office now on 01833 650274 for further details.